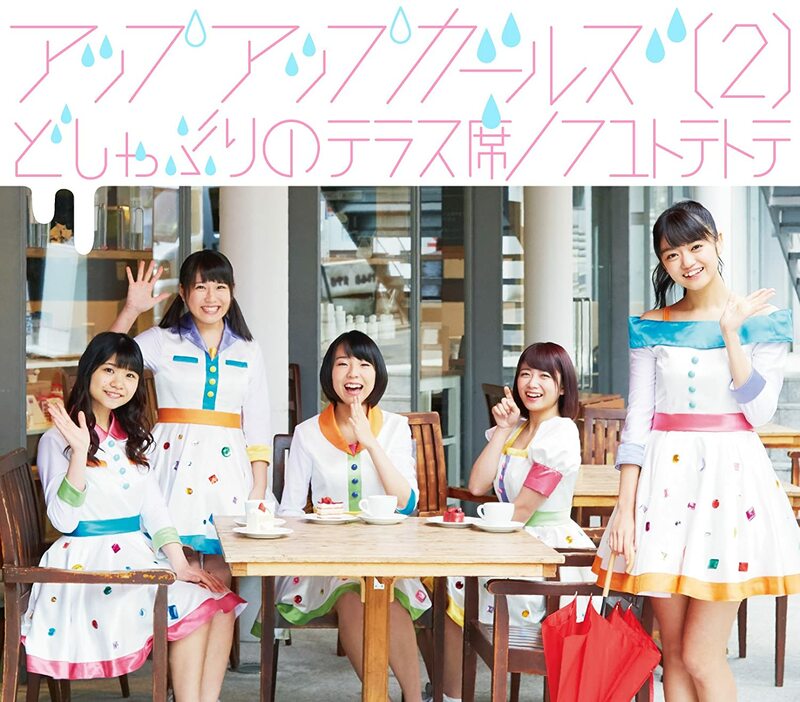 Up Up Girls (2) finally deliver on the promotional video for the second A-side for their recent double A-side single “Doshaburi no Terrace Seki / Fuyutotetote”. Seeing the young group outside in the chilled air with scarves and jackets gives off a feeling of coziness. Up Up Girls (2) sut up the PV as a series of scenes of the girls in various locales lipping the cheerful swinging pop tune. While there might not be much more to “Fuyutotetote” than solo shots of Up Up Girls (2), I’m sure you will find your time fulfilling.